We only booked this little escape a few weeks before Christmas. As it was in the Christmas Holidays, I didn’t except there to be many vacancies – but we were in luck! As our nightly accommodation was mainly at Caravan Parks we did this trip on a small budget. The boys had a blast, and we were so fortunate to experience some magic locations just a few hours drive from home. We left Brisbane at 8.30am on the 1st January to hopefully miss the traffic on the M1 (which we did), and arrived at Elliott Heads by lunch time. A coffee stop en-route as well as a lunch stop at Childers. We bought the mandatory peanuts from the ‘Peanut Van’, and then visited the memorial at the museum which is housed in the old ‘Childers Palace Backpackers Hostel’ which tragically burnt down in the year 2000 killing 15 backpackers. Our accommodation on our first night was at Elliot Heads Holiday Park. What a fantastic spot, and one that ticked the boxes for my kite surfing addicts in the family. Not only is there beach action, but also the calm of the adjoining mouth of Elliott River where I enjoyed a relaxing SUP (stand up paddle board). You need to bring all your food supplies in, as there is no shops around. A basic cafe if you need a burger or ice-cream to survive the heat is your back-up. 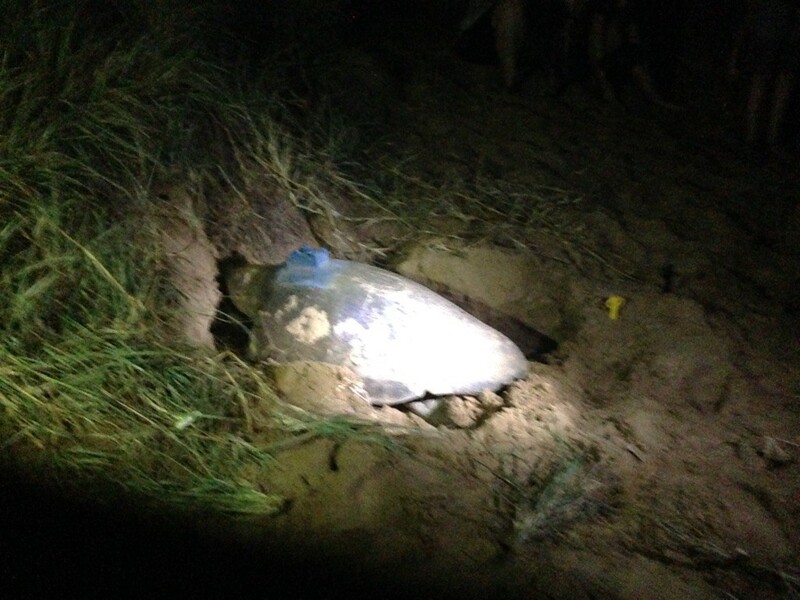 The next coastal stop was Bargara just 20 minutes north of Elliot Heads. The kids screamed with delight as the campsite sits just opposite 2 playgrounds and a large skate park, so while we unpacking…we didn’t see them at all! We had our bikes (surfboards, skateboards, scooters – you name it, it was crammed in) so spent the first afternoon when it was cooler exploring the surrounds. I was especially keen to do the coastal bike path called ‘Turtle Trail’ that scenically runs from the caravan park all the way past Mon Repos National park and along the cliff tops high above the waves and rocks before rejoining the beach and continuing to Burnet Heads lighthouse. Stunning views along the way, and plenty of places to stop for a swim and picnic. A great easy ride that wold be around an hour each way…the promise of ice-cream kept the little ones peddling! 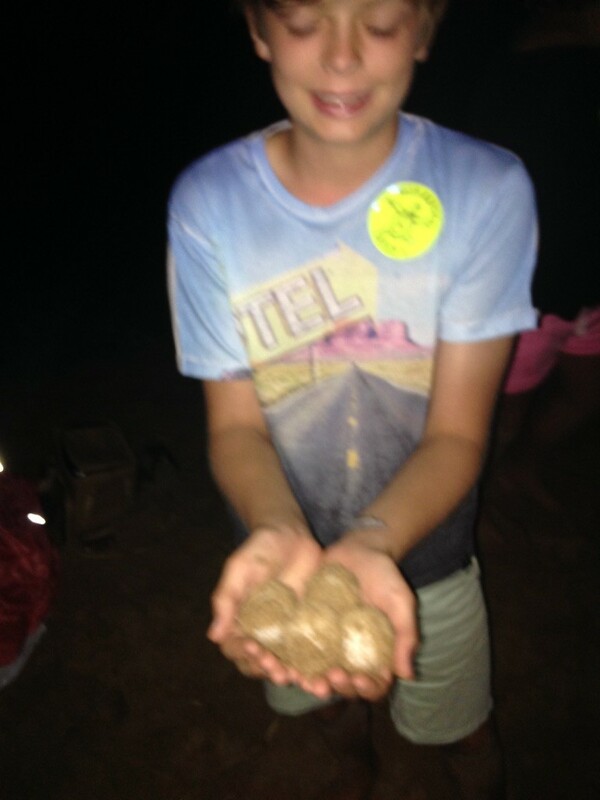 The next evening we headed to Mon Repos just 5 minutes from Bargara, as between November to March you can witness one of the true wonders of the natural world. I think I was more excited that the kids about this. My tip is to book in as early as possible, as when you book is dependant on when your group leaves with a personalised guide during the evening to view nesting or hatching turtles. The Turtle Centre Mon Repos have dedicated rangers who are so passionate about protecting the turtles and made our wait fun and enjoyable. With plenty of activities to keep the little ones occupied while also being extremely educational, telling the story of the turtle’s amazing survival and the conservation efforts. Lock in at least 4 hrs for this experience. 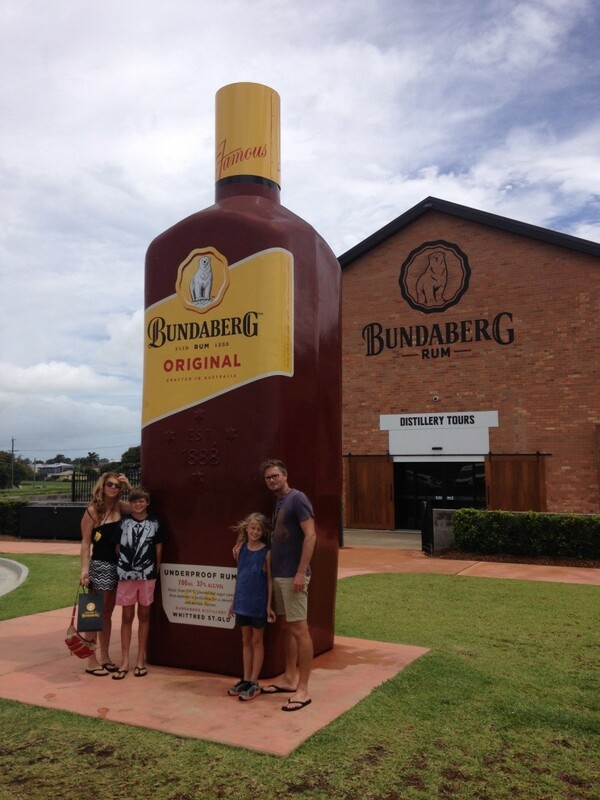 Being in Bundaberg, we felt we should do the Bundaberg Rum Visitor Experience (even though we are not rum drinkers & the kids protested about how boring they thought it would be). We came out from the museum and guided tour thoroughly entertained and well informed. We had worked up an appetite with all the knowledge we had consumed at Bundaberg Rum, so a short 5 minute drive up the road – was a place I was keen to take the dads too. 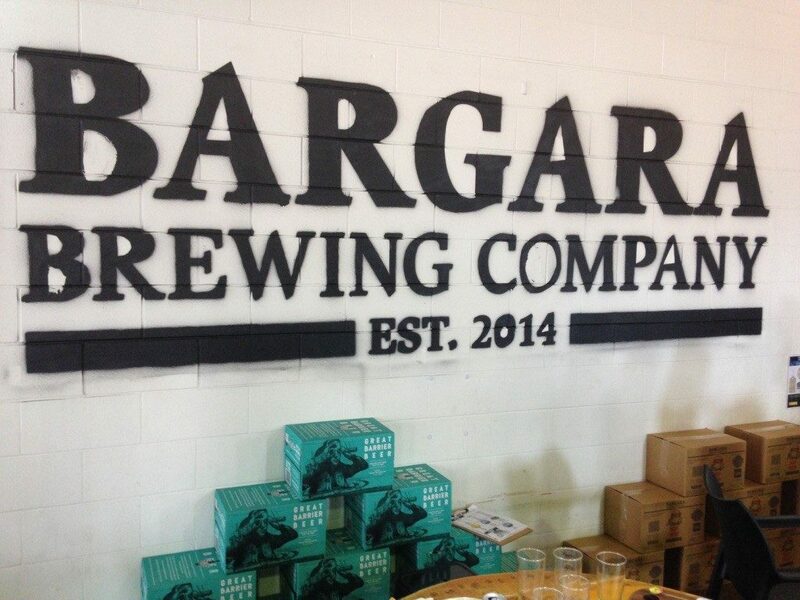 I had heard about a beer you could buy that was giving 50% of sales towards saving the Great Barrier Reef, so determined to buy beer for a good cause, we popped into the Bargara Brewing Company! They had a fantastic area set up for families with kids – ping pong table, giant Jenga, a drawing area and many more games. They do the tastiest Pizza’s along with beer sampling. This was a find people and I am so pleased I hunted them down. After our 4 nights in Bargara, we headed to one of our favourite spots just 1.5 hrs north to the town of Agnus Waters and 1770. We just can’t get enough of Agnus and every time we come – we are never disappointed. 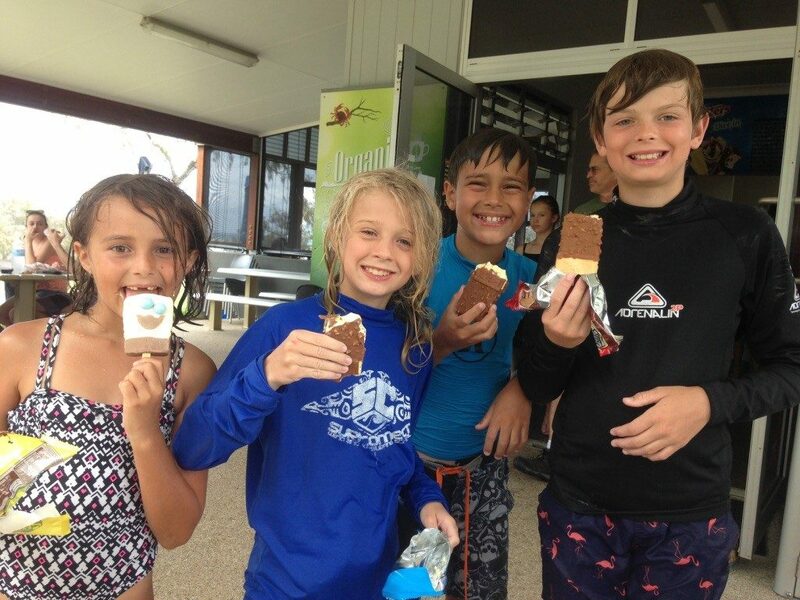 In past visits, we have stayed at Agnes Water Beach Holidays where there is a great variety of accommodation options from basic camping, glamping through to apartments, however they were fully booked. I did however find a cracking little apartment just a short stroll to the patrolled beach on Airbnb, which we were most pleased with. 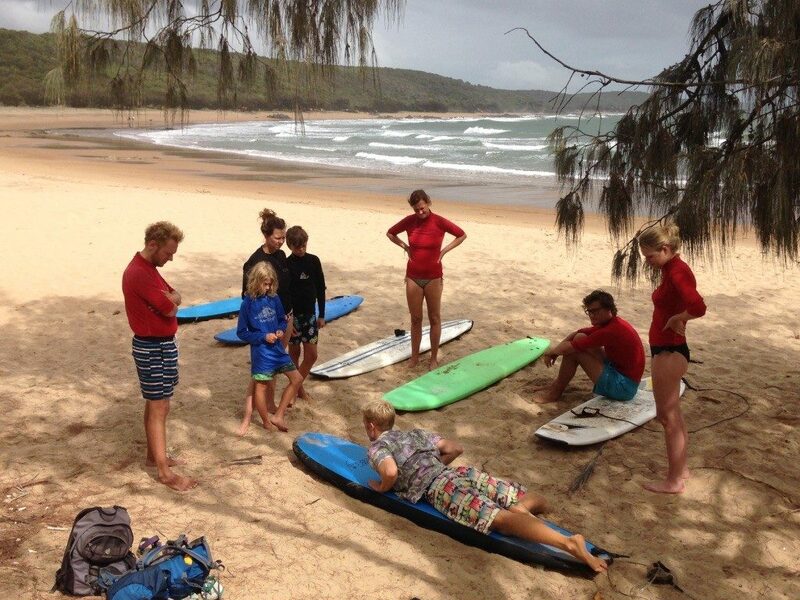 Our boys did not leave the water, catching perfect wave after perfect wave…except to eat! The Paperbark Forest is a magical little trailed bush walk. Super fun for the kids to explore, plus you will get some magical photo’s of the kids walking along the stepping stones. Surf School – we went with Lazy Lizards whose reputation is the cheapest surf school in Australia. At $22 per person for 3-4 hours, you get collected from your accommodation and taken to a sneaky beach very close by that only a few locals know about so it’s completely empty. I loved it, and I have to say that at 44 years of age I finally stood up and surfed (had to be pushed onto the waves but hello, I stood up)! 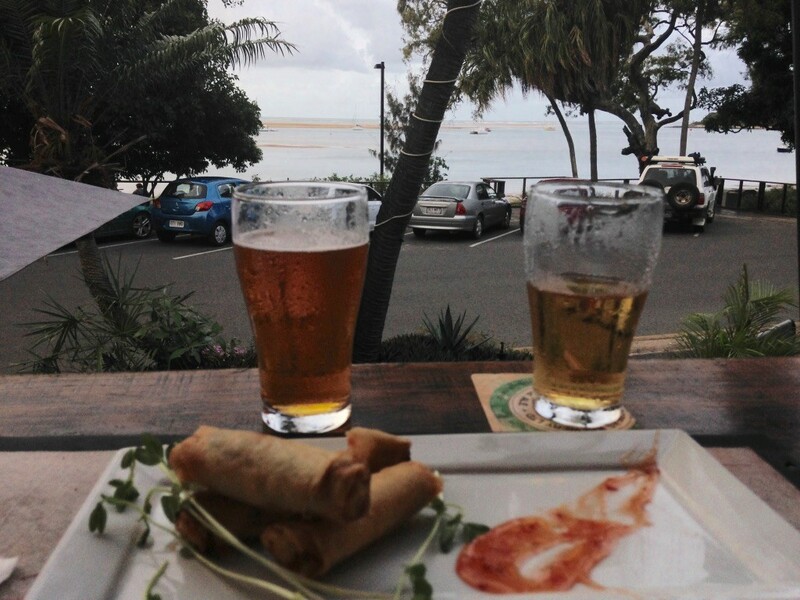 Drive the 8 minutes to 1770 (where Captain Cook landed for the first time in Qld) at Sunset and have a beer at the ‘Beach Hotel’. The kids played footy on the large grassed picnic area in front of us and then joined us on the deck for dinner. With the hectic pace of life that our family lives and the many distractions, this trip exploring part of the Southern Great Barrier Reef and witnessing the turtle season at Mon Repos was perfect for our family to regroup, slow down and talk about some interesting topics. No tech devices were allowed (although I did wish we had for part of the car journey!) but what this forced our boys to do was pick up a book and read…oh and the occasional fight! (Nothing that a quick stop and throw the football around didn’t sort out). If your wondering around the pricing, I have outlined some of the basic costs for this trip. In total we spent just under $1,000 for 4 people for 7 nights. Not bad for peak Christmas holidays!